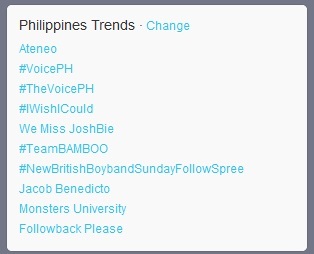 Jacob Benedicto, a contestant in ABS-CBN’s The Voice Philippines, briefly became one of the trending topics on Twitter Sunday night. 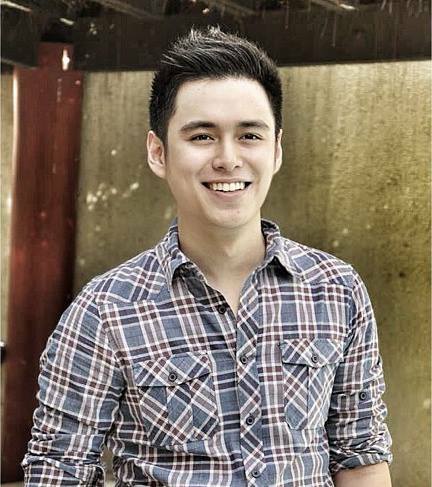 Benedicto, a 21-year-old communication arts student from De La Salle University may have failed to advance in the competition, but he nevertheless earned the admiration of Pinoy netizens. Benedicto sang “The Way You Look Tonight” during his performance. Lea Salonga, one of the judges in the show, told him to be more “seductive” to his audience in singing the song next time. As of posting time, Benedicto can no longer accommodate new friend request in his Facebook page. Ang taunang pagdiriwang na ito ay alinsunod sa Pampanguluhang Proklamasyon 1041 na nilagdaan ng noo’y Pangulong Fidel V. Ramos noong Hulyo 1997. Basahin ang buong teksto ng nasabing proklamasyon sa pahinang ito. The objective of the theme is to “raise awareness on the need for more action” vis-à-vis the government’s efforts to reduce hunger incidence in the country. Eradicating extreme poverty around the world by 2015 is one of the seven millennium development goals set by the United Nations. c) Advocate for stronger political action to end hunger. The Department of Education, through Department Memorandum 67, urged all schools to take part in the celebration by “undertaking meaningful activities which will highlight the importance of good health and nutrition.” Check the said memorandum below or by downloading it in this link (Buwan ng Nutrisyon 2013). This year’s celebration comes a little over a month after survey firm Social Weather Stations revealed in a study that 9.2% of Filipinos or nearly four million families have experienced involuntary hunger in the first quarter of 2013. Working in Ortigas? Then, this is good news for you. Pasig City will mark its 440th foundation anniversary next Tuesday, July 2. The day has been declared a special non-working holiday by President Benigno Aquino III through Proclamation 607. Read the full text of the proclamation here. A similar announcement was made last year. According to the city government’s official website, Pasig was declared as the Visitacion Parish in July 2, 1573. The page claims that Visitacion is the first Marian Parish in the Philippines and perhaps in the entire Asia. 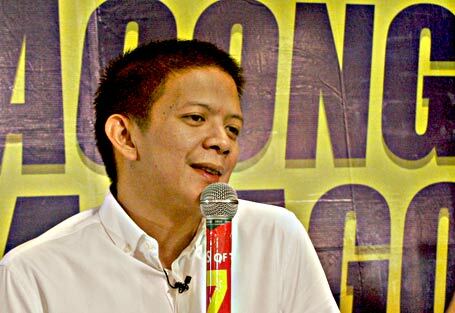 Outgoing Cagayan de Oro Rep. Benjo Benaldo attempted to commit suicide inside his office in the House of Representatives (HOR) Thursday night. According to a GMA News report, Benaldo was seen “drenched in blood with a gunshot wound” at the HOR’s South Lobby. Benaldo was alone in his office room when the incident happened. Marcelo Castro of the House Media Bureau said Benaldo was brought to New Era Hospital along Commonwealth Avenue. Benaldo is the controversial husband of Brazilian model Daiana Menezes. The couple has been the subject of intense media scrutiny lately after Menezes hinted via Instagram that she is a victim of domestic violence. House Speaker Feliciano Belmonte, who personally saw Benaldo’s condition, speculated that his depression may have been triggered by his failed reelection bid last month. The City of Manila will be marking its 442nd Foundation Day this June 24, Monday. The day, more popularly known as Araw ng Maynila, is a special non-working holiday in the Philippine capital city by virtue of Proclamation 604. President Benigno Aquino III signed the declaration last June 13. Read the full text of Proclamation 604 here. 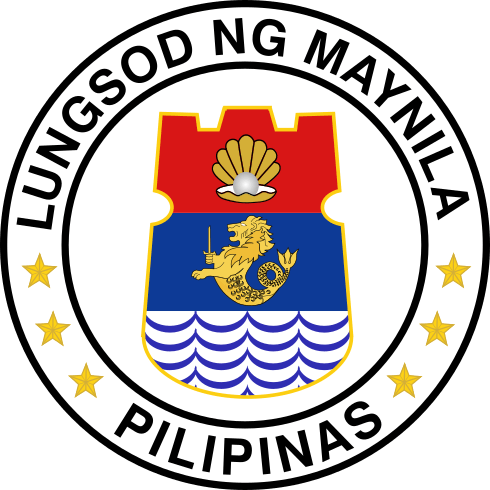 As noted in a post last year, Miguel Lopez de Legazpi, the first Spanish governor-general of the Philippines, proclaimed Manila as the capital city of the country in June 24, 1571, calling it a “distinguished and ever loyal city.” Quezon City, situated north of Manila, briefly became the nation’s capital city from 1948 to 1972. June 24 is also the feast day of Saint John the Baptist, the patron saint of San Juan City. During the annual Wattah Wattah festival, residents of San Juan douse water not only to their neighbors but to just about anyone. Stay dry!